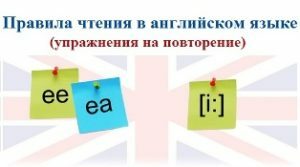 Posted on Январь 19, 2019 by Татьяна Н. From this post you will know the main facts about the British Flag and its history. 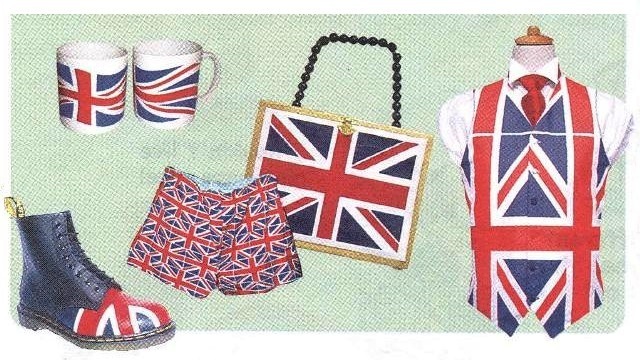 The Britain flag is called the ‘Union Jack’. The Union means “союз”. 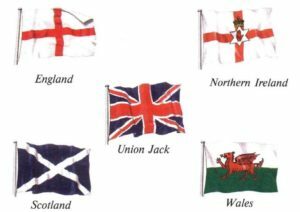 It is really three flags on top of each other — the red cross on white background of St George for England, the white ‘X’ on blue background of St Andrew for Scotland, and the red ‘X’ on white background of St Patrick for Ireland. Of course, each country in Britain also has its own flag. The Saint George’s cross is the English flag. Saint George is the patron saint of England. He was a soldier famous for saving the Princess Cleolinda from being eaten by a dragon. He wounded the dragon and took it back to the city of Silene on a lead like a dog. Saint George’s Day is celebrated on 23 April. Saint George is also the patron saint of Germany, Portugal and Greece. The Saint Andrew’s cross is the Scottish flag. Saint Andrew, a fisherman, was one of the 12 apostles who followed Jesus Christ. Paintings of Saint Andrew often show him being killed on an X-shaped cross. Saint Andrew’s Day is celebrated on 30 November. He is the patron saint of both Scotland and Russia. The Saint Patrick’s cross is the former flag of Ireland. Saint Patrick is the patron saint of Ireland. He was born about AD 390. He converted the Irish to Christianity and is supposed to have got rid of all the snakes in Ireland. Saint Patrick’s Day is celebrated on 17 March. The Welsh flag shows a dragon. Saint David, the patron saint of Wales, started a number of monasteries in the country. Paintings of Saint David normally show him with a dove on his shoulder. His relics are now in Saint David’s Cathedral in Wales. Saint David’s Day is celebrated on 1 March. The British like to have fun with their flag. They put it on party hats, bags and even on socks.